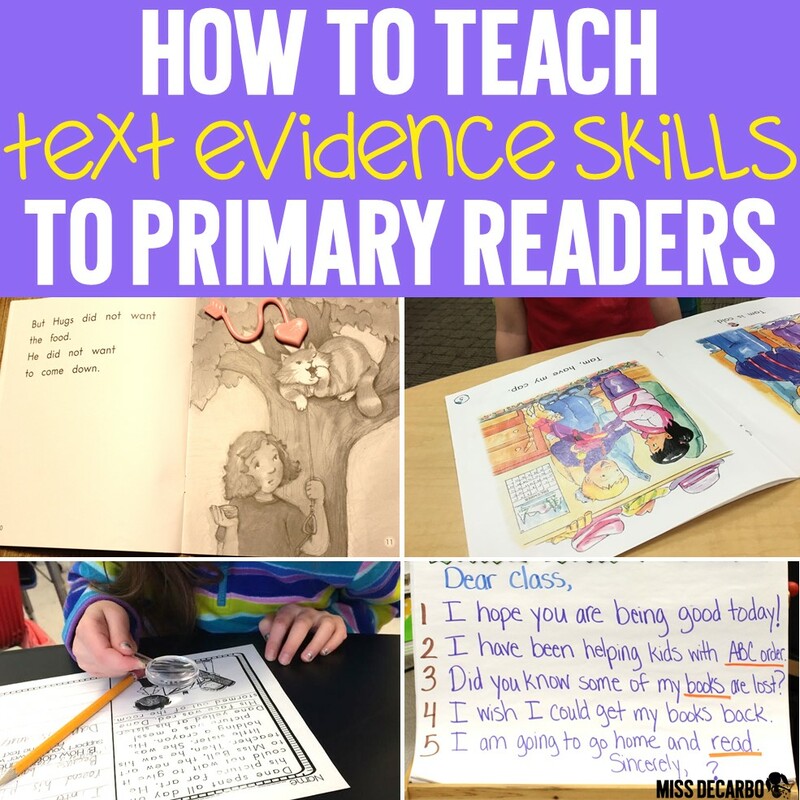 Text evidence skills are important, but how do you even begin to TEACH text evidence skills to primary readers? 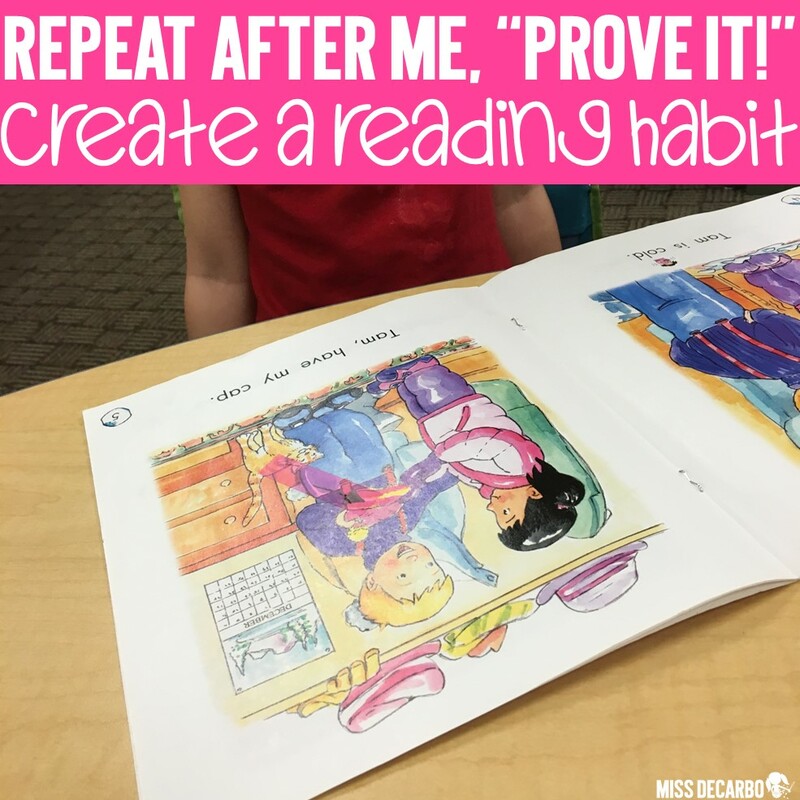 In this blog post, I’ll share the activities, lessons, and ideas I use to get my little readers into the habit of using and citing text evidence as they read- even in kindergarten! (Yes, you read that correctly! 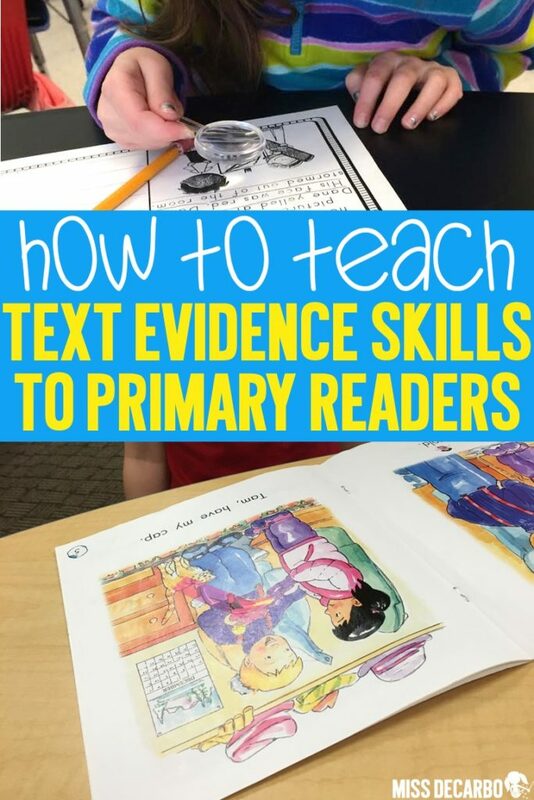 I’m going to show you how even our tiniest readers can begin to develop skills that will lay the foundation for becoming experts in the skill of citing text evidence!) 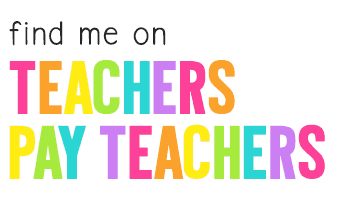 I’ll even be sharing some of my Text Evidence Reading Passages with you! Let’s get started! This blog post contains affiliate links. This means my blog receives a tiny compensation if you make a purchase through my links – at absolutely no extra cost to you! 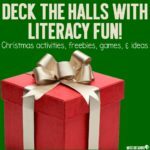 These links help maintain my blog in order to continue sharing free resources and ideas with you. Text evidence is any evidence from a fiction or nonfiction text that can be used to support ideas, arguments, opinions, and thoughts. When we cite textual evidence, we paraphrase, quote, or refer to the specific part of the text that we are using to back up or support our thoughts and ideas. In my primary classroom, I first teach my students how to cite textual evidence orally during whole-group and small-group reading as we are referring to a book, passage, poem, or shared reading. Once we start to develop strong writing skills, I teach them how to use text evidence within their writing pieces. 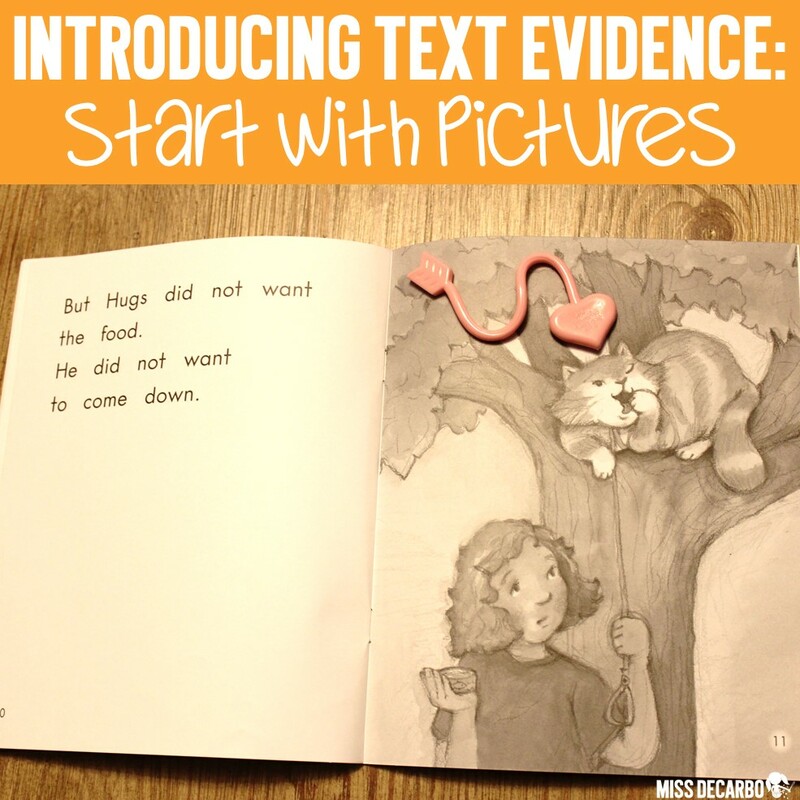 Why are Text Evidence Skills Important? This always makes perfect sense to my students. I explain to them that someone who can support their idea, opinion, or thought by backing it up with evidence from the text will be taken more seriously than someone who does not use textual evidence in their explanation. If we can’t back up what we are saying with proof from the text, people may not trust our words as much as someone who CAN show proof. 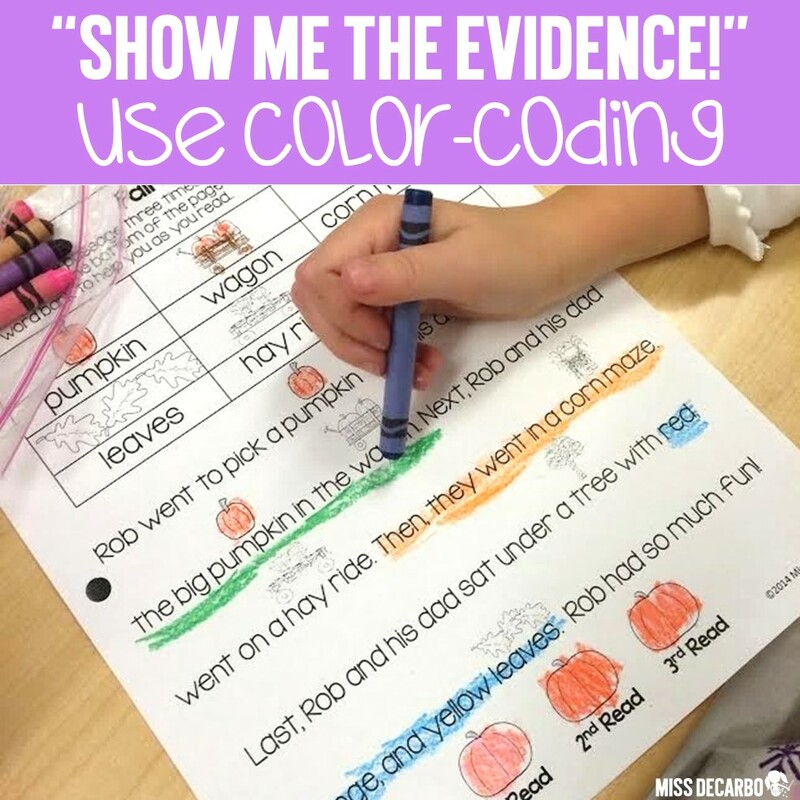 In addition to making a reader and a thinker credible, being able to show evidence from the text is a Common Core Standard- even in kindergarten! If we look at the Common Core Reading Anchor Standard 1 across the grade levels, it focuses on reading closely and citing textual evidence. At the K-2 level, this anchor standard focuses on asking and answering key details in a text. The text-dependent questions that we ask and answer, can, (and should) be backed up with textual evidence! As we look even further down the road, we see that the skills for the Common Core Reading Standard 1 builds on itself. Each year, students are expected to do more with textual evidence. Eventually, in fifth grade, students are expected to be able to accurately quote from a text when explaining a text and drawing inferences. As our students get older, they will need to be able to write pieces of text and use formal citations throughout their years in school. Clearly, using textual evidence is important to a reader. 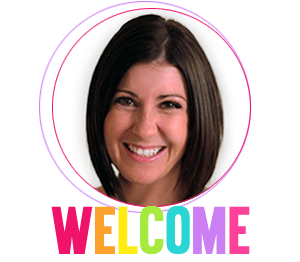 This blog post will focus on the little- but significant- things we can do as primary teachers to help students learn how to go back into the text to prove an answer. In turn, having this skill set will help us to create powerful and life-long readers and writers. Cue the confetti! 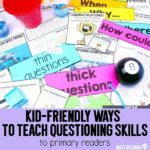 Teaching a child how to identify a piece of textual evidence can seem daunting and difficult for teachers- especially if we teach younger students who are not fluently reading yet. Here’s an important reminder for us: A child who can read the pictures is a reader. Let me repeat that one more time: A child who can read the pictures is a READER! So, it only makes sense that we begin to teach text evidence skills using the pictures! Let’s look at some examples. I continued to ask questions that required the child to go back into the book and use the pictures to prove his answers. This is a basic but powerful way for primary readers to begin showing evidence within the text! That makes teaching text evidence skills not as scary, right?! It’s also SO FUN for little readers! After my readers get the hang of showing me their answers using the pictures, we continue to make it a habit during every small group meeting. I use the words, “Prove it!” so often with my students, that they can anticipate it before I even say it now. My students develop a habit of knowing to immediately back up their response or their answer by showing me where in the book- whether it is within the pictures or in the text itself- they can find the answer or the support. Your big takeaway for this part of the blog post is this: Use the statement, “Prove it!” all the time! Let’s take a look at more ways we can have our students prove their answers in order to practice this skill. In the photograph above, I was working with a small group of kindergarteners. In this particular lesson, we were working on sequencing skills. After our first day of reading the text, we revisited the book on Day 2. This time, I asked them questions about what happened first, next, then, and last. After we discussed what happened first in the story, I asked, “What happened after it started snowing? If you know, prove it!” Then, off they went to put their Post-It Arrow on the picture that proved what event came next. This strategy also eliminates one student answering a question and disrupting the thinking process for the rest of the group. It allows each child to work at his or her individual pace while still demonstrating an understanding of the sequencing skill. When your students are ready to show evidence using the actual text and not the pictures, place your passages in sheet protectors for an easy write-on/wipe-off way to show their proof! This particular group was working on inferencing skills. I asked the students to write down what they thought was in the box that Rob gave Grandma in the passage. 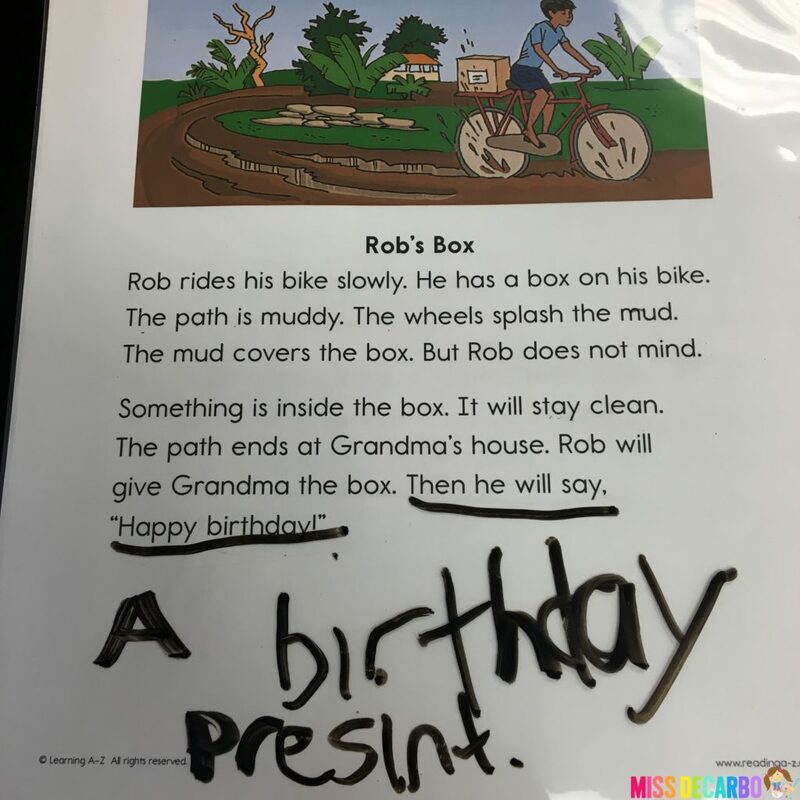 You can see above that this child wrote down “a birthday present.” I then asked the students, “Show me the sentence in the text that supports your inference.” The student underlined the last sentence in the passage that makes a reference to a birthday. This was an easy and quick way to get my students to go back into the text and find the evidence that supports their inference. The sheet protectors also help us mark up the passage using dry erase markers so that students can interact directly with the text. 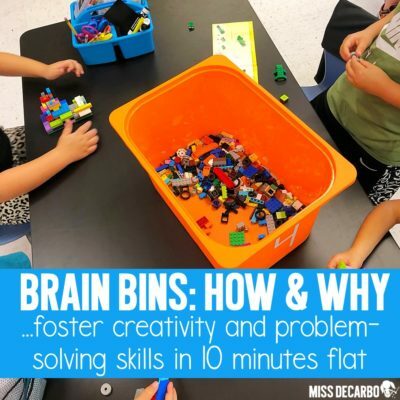 Do you have students who you KNOW have great ideas in their heads? You KNOW they are capable of providing great explanations. You KNOW they can support their ideas and use text evidence skills, but for some reason, they don’t participate in these discussions. Your students may be in need of simple ways to start their thoughts. You can do this using thinking stems. To put it simply, thinking stems are ways for our students to start their thoughts. 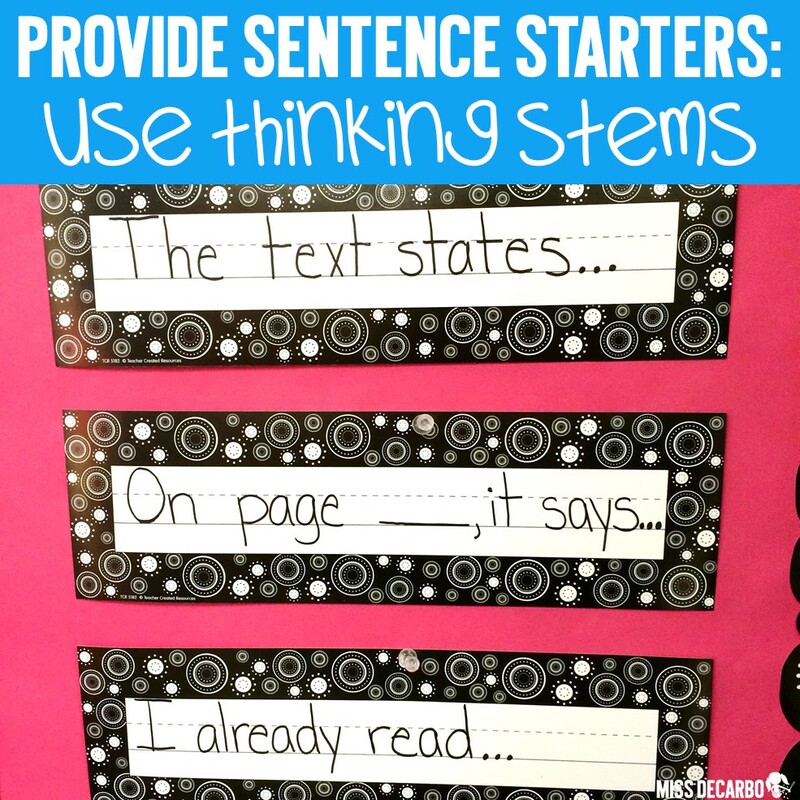 Think of thinking stems as the oral language version of a sentence starter for writing. According to the text, on page ___, it states ______. I read on page __ that ___. We can find simple and quick ways to model and practice text evidence skills during our whole-group reading lessons. 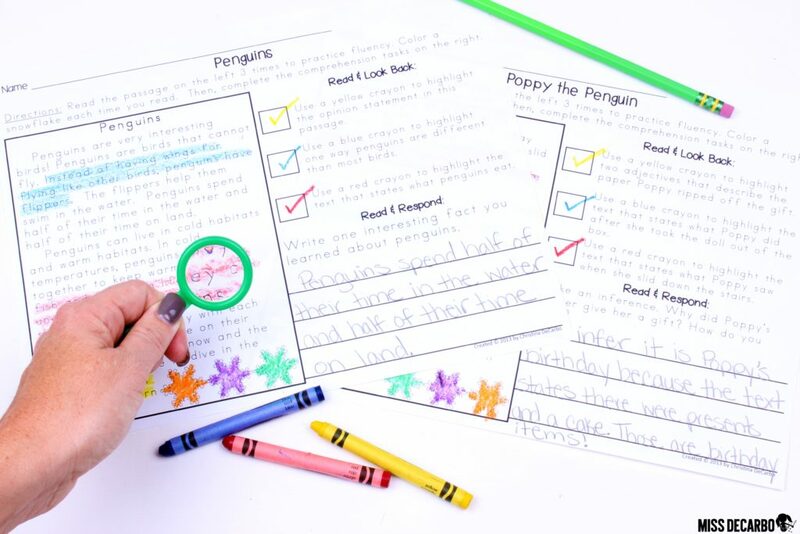 By simply numbering or labeling our class poems, passages, or stories, we are able to provide an easy way for beginning readers to refer to specific pieces of the text. Let me share an example of how I did this with my first graders. After a student made an inference about who the letter was from, I gave them my infamous statement again: “Prove it!” The child used a thinking stem and would make a statement that sounded something like this: “I infer the letter is from the librarian because in line 2 of the text it states she has been helping kids with ABC order. 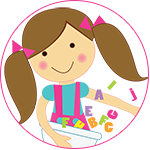 During our library class this week, Mrs. Bins taught us ABC order.” WOW! 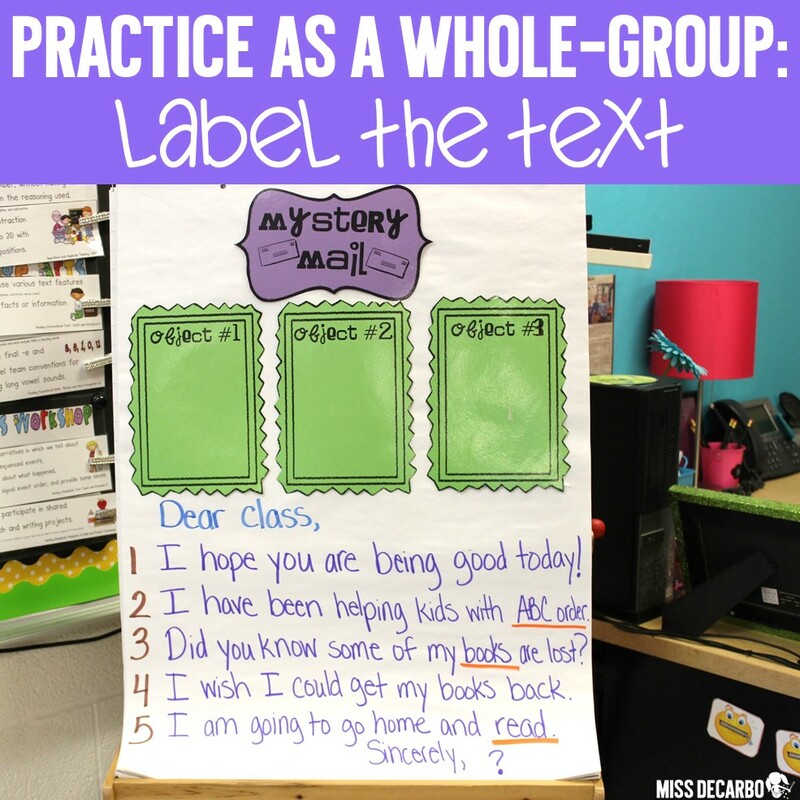 What an amazing and EASY way to get kids to USE the text in a whole-group setting, right?! It only took me the extra step of numbering my whole-group text and I had a perfect tool to use to develop and model text evidence skills for my kiddos. You can do this with ANY poem, story, phonics passage, etc. You don’t need to be teaching inferencing skills to model text evidence. This can be done with retelling skills, cause and effect, compare and contrast, and every other comprehension skill you can think of. 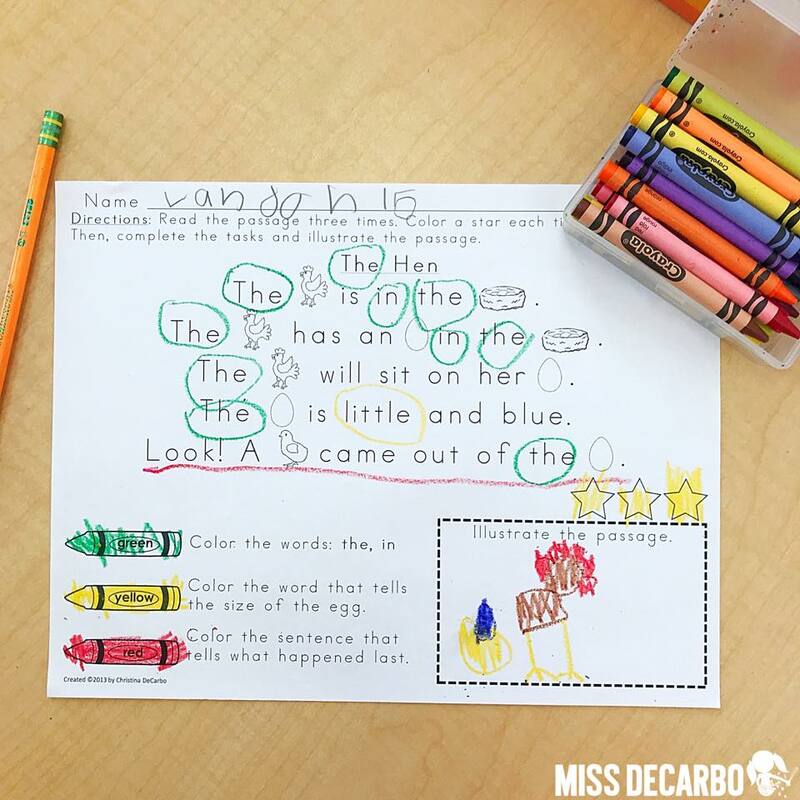 Shown above is a photograph of a kindergartener who is working on text evidence skills using the color-coding strategy. This child is working on a passage from my Text Evidence Reading Passages for Beginners pack. In this pack, the child reads the manageable passage three times for fluency. Then, the child uses a green crayon to go back into the text and find specific sight words. The yellow crayon is used to identify vocabulary. Finally, the red crayon in the photograph above was used to color the sentence that tells what happened last in the passage. This requires students to not just verbally respond or write the answer to the comprehension question- it requires the students to SHOW the textual evidence and prove it! 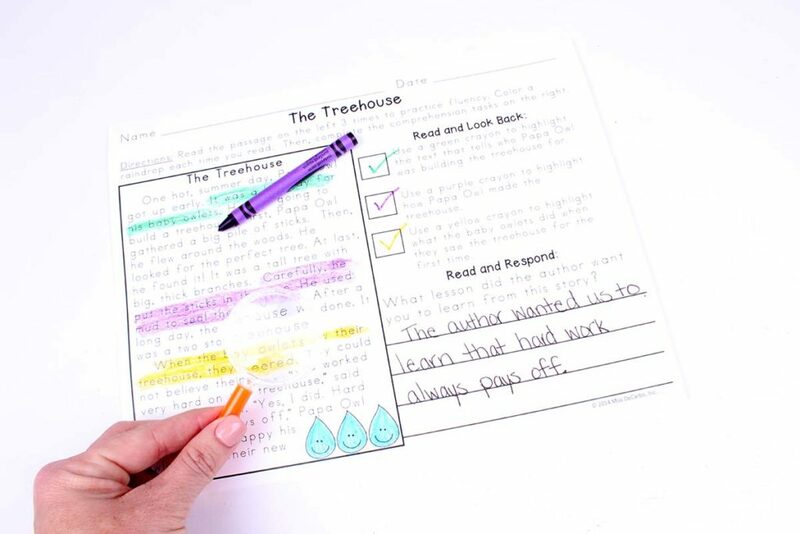 Quick Tip: Use a different colored crayon or highlighter for each piece of textual evidence that you want students to find within the passage, book, or poem. Encourage the students to identify the ENTIRE sentence rather than just part of the sentence. This will ensure the student isn’t missing key details or descriptive language that further supports or proves his or her answer, thought, or idea. 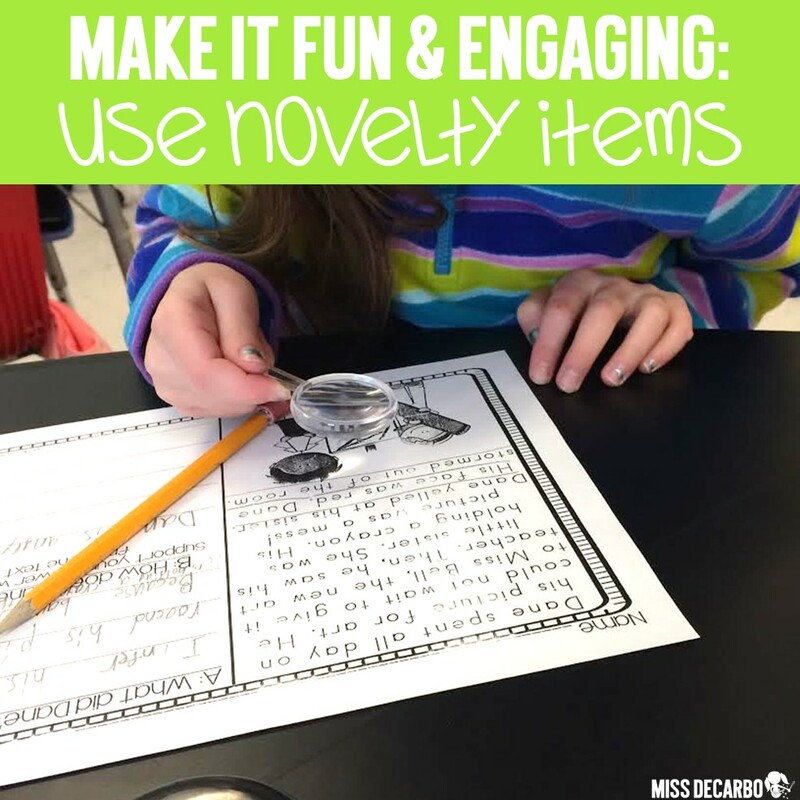 Use magnifying glasses to make text evidence practice feel more like a game than a task. 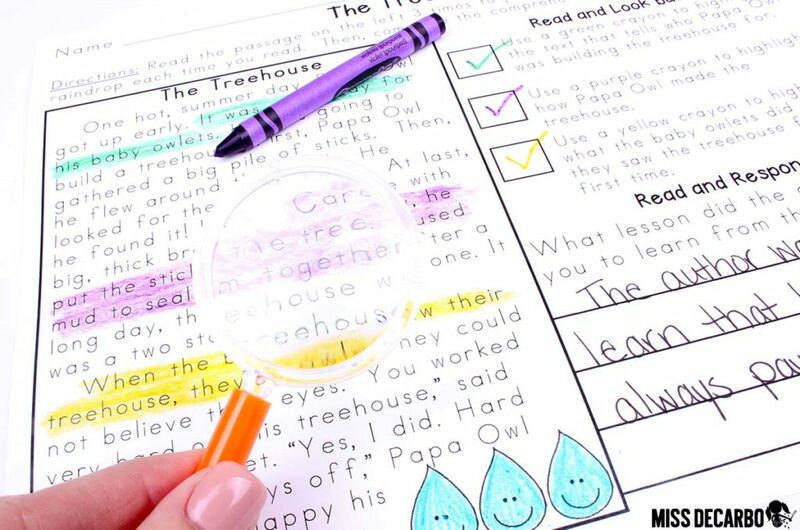 Students LOVE hunting for the answer in the text with toy magnifying glasses . This adds novelty and gives your reading lessons a special touch of excitement! We also like to pretend to put on our detective coats and hats as we take out our magnifying glasses and search for evidence within the text. 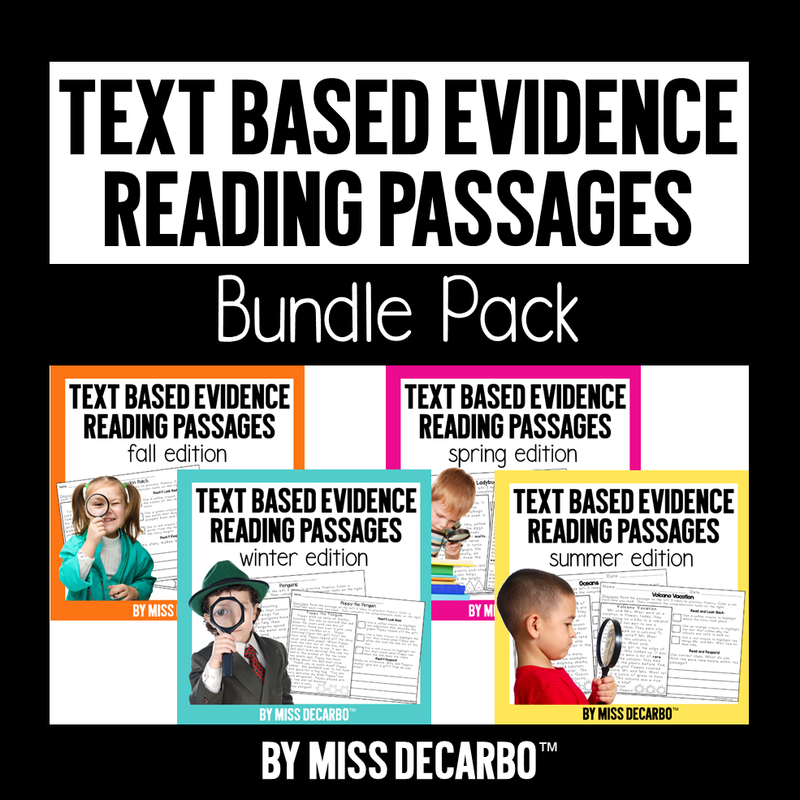 The paired passages above come from my Text Evidence Reading BUNDLE Pack. It includes 160 reading passages for the year! How often should I teach text evidence skills? 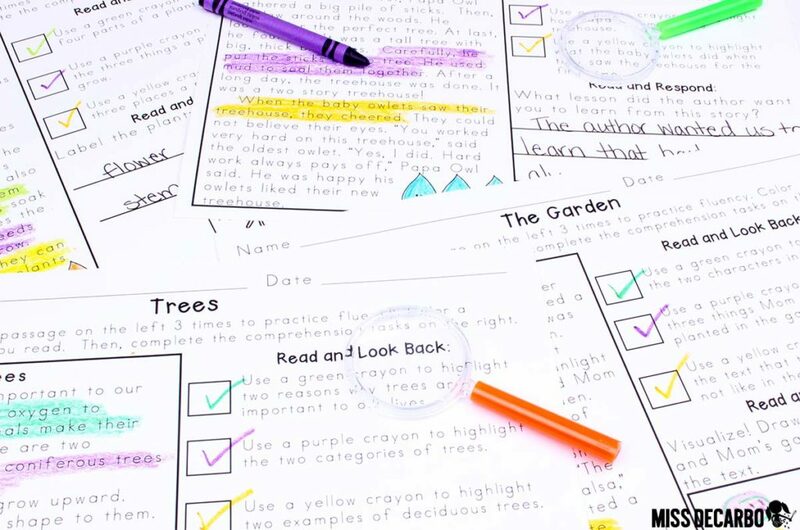 Through these Text Evidence Reading Passages, students will build confidence and have fun focusing on the text in order to answer the comprehension questions. It also helps YOU know that you are building essential reading skills, while tackling science and social studies concepts, too! It’s a WIN-WIN! 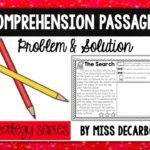 Get 160 PAIRED Text Evidence Reading Passages for the ENTIRE Year by clicking HERE. 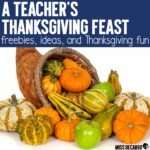 Do you want some FREE text evidence passages to try? 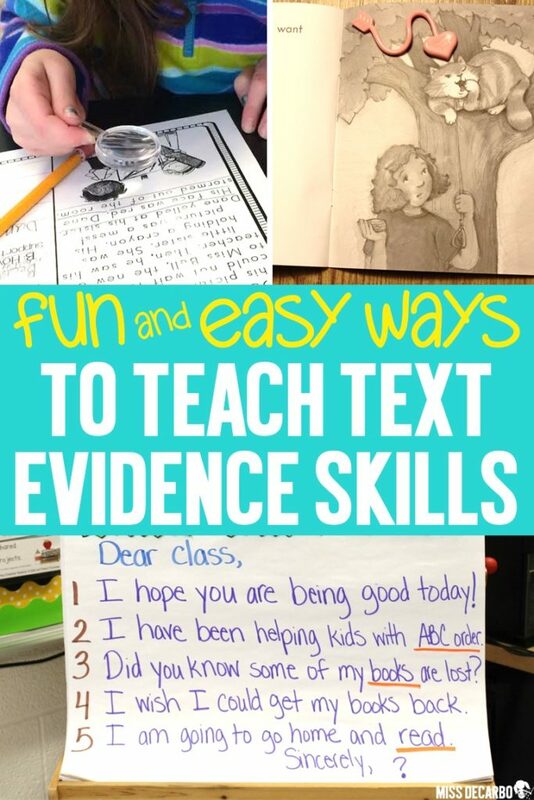 I hope this blog post gave you helpful strategies, activities and ideas that you can use when you teach text evidence skills to your primary readers. Feel free to use the images below to pin this blog post for future reference, or, to share it with your colleagues! If you have any questions, feel free to leave me a comment below. I love hearing from you! Problem & Solution Strategy Series! Is the reading level of the text evidence passages available?